This charming 2.4 x 3.0m Greenhouse was recently installed for a customer in Reigate, Surrey. 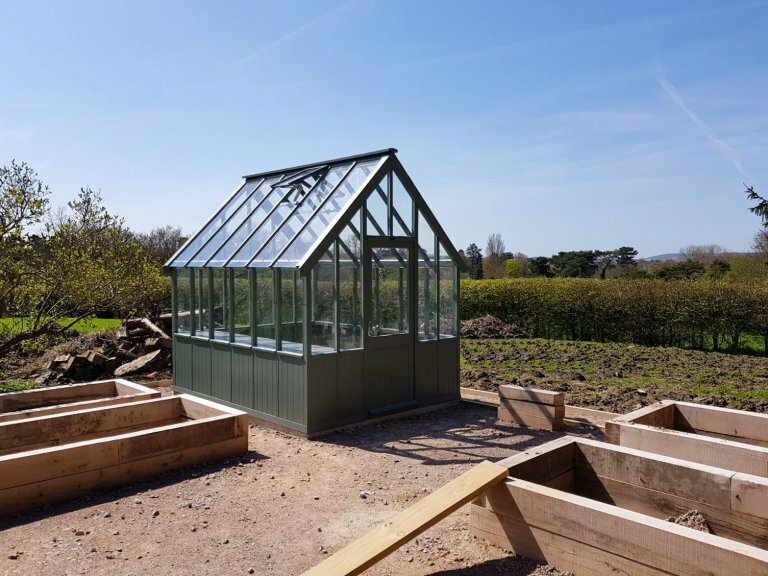 Our customer was constructing their perfect herb and vegetable garden for some sensational home cooking, and wanted to add a high-quality, FSC® certified timber Greenhouse that would allow their kitchen garden to flourish. They opted for the 2.4 x 3.0m sized building with polished chrome door furniture and 4mm toughened safety glass. 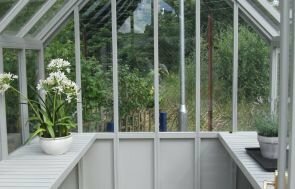 It also boasts 2-automatic opening roof vents so that the plants will maintain pleasant temperatures and 1 slatted workbench for increased storage and shelving options. 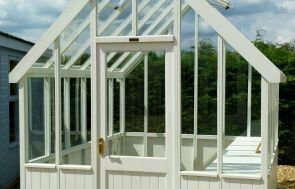 The exterior of the Greenhouse is coated with the Farrow and Ball shade of Green Smoke which looks incredibly appealing and will be resistant to flaking, woodworm and fungus. 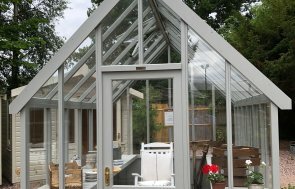 If you would like to browse our collection of Greenhouses, you can do so online. Alternatively, visits to our show sites are welcomed, where you can browse the range of high-quality buildings we have on display for yourself. All of our garden buildings are custom-designed in consultation with our customers, so this is an ideal place to get inspired. You are also welcome to visit us to speak to one of our friendly experts.